In our studio, each session is designed and photographed with the purpose of creating a beautiful collection of images that can be displayed as heirloom art in each home. The creative fee for each session covers a consultation to plan and design your session, the time and talent of the photographer and her assistants during the session, the retouching of your images and an ordering appointment where you will be able to enjoy the images created during your session and invest in the images you love. Take a glimpse of our products here. Do you want us to capture your baby every step of the way? Book a Grow With Me ~ Baby Plan! Newborn sessions are held when your baby is 6 to 10 days old... This way, we can ensure to capture those beautiful sleepy images you really want! These sessions last between 2 and 3 hours and are done in our studio. 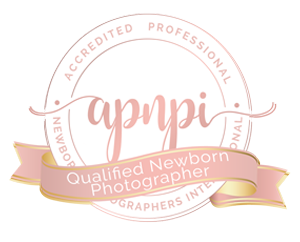 By booking your session with us, you will have complete access to our newborn accessories, backdrops, clothes, props, and more... The creative fee for this session is $350. Smash sessions are done to celebrate your little one's birthday... These sessions are completely personalized to give you the greatest experience! Smash sessions include decorations and cake.. They are done in our studio and last about 1 hour and a half. The creative fee for this session is $350. Maternity sessions are held between weeks 28-34 to ensure we capture your belly at its best... These sessions can take place at the location of your choice and last for approximately one hour. By booking your session with us, you will have complete access to our maternity wardrobe so you can look and feel like a queen... Take a look at what is inside our Maternity Closet! The creative fee for this session is $250. Children portrait sessions can be done in our studio or in the location of your choice! Let us capture their personality at any age... These sessions last about 1 hour. The creative fee for this session is $250. The creative fee for this session is $275. This fee covers mom, dad and all their kids; extended family is welcome to be part of the session at an additional cost of $25 per person. If you do not want all the extras of a regular session, then you should condsider our Mini Sessions. A non-refundable retainer is required to book your session. For any other type of session please contact us. Kimberly GB Photography offers payment plans with no interest, a referral program and a loyalty program.